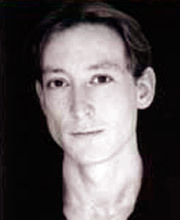 Scott Handy trained at Central School of Speech and Drama. His theatre credits include Horatio in Hamlet, Orsino in Twelfth Night, and Ferdinand in The Duchess of Malfi. He played the part of Ariel to much critical acclaim in the RSC production of The Tempest. He has been seen on television in Dangerfield, Casualty, Poirot, and Under the Sun. Film credits include A Knights Tale, Shadlowlands, and Skaggerak.